There’s so much we don’t know about the wildlife making use of our Renosterveld corridors. 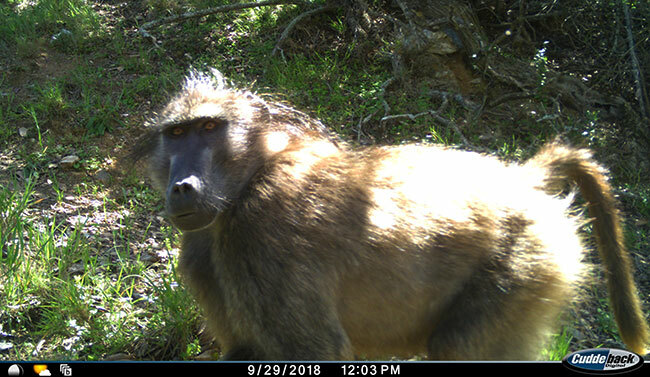 That’s why our Renosterveld reserve, Haarwegskloof, and surrounding Renosterveld farms and reserves, in a partnership with Nelson Mandela University, are now part of a major camera trap study to learn about our biodiversity. The project is called Snapshot Safari – South Africa. Through it, more than 800 camera traps will be placed in state and private nature reserves across the country. We’re one of three locations focusing on Renosterveld (along with De Hoop Nature Reserve and a local farm managed as a nature reserve by the Fynbos Trust). And contribute barcodes to South Africa’s mammal DNA Barcode of Life Data System. Because all the statistics show us that species numbers are declining at a rapid rate (17% of our South African species are threatened with extinction). And this in turn has dire consequences for our vital ecological services. In many instances, we simply don’t even know which species are in trouble, and what ecological services are being affected. 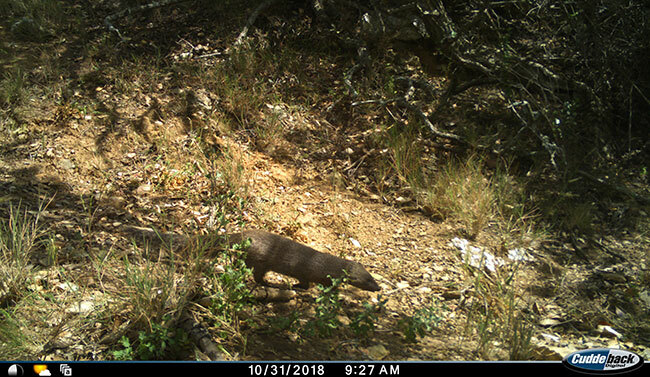 This study will help us assess these wildlife population trends and their responses to change, looking at areas with high conservation status (like Haarwegskloof). And to see how our work in protecting them is helping, and what more we can AND MUST do! 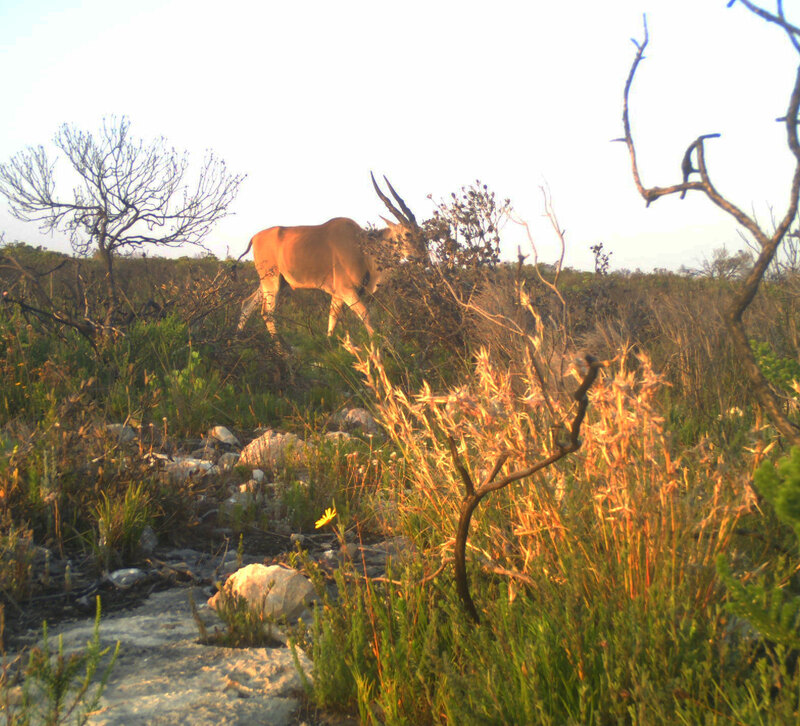 There has been lovely camera trap footage in the Renosterveld in this study to date. 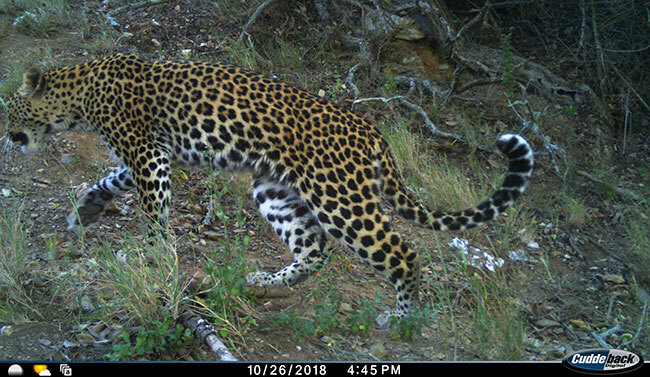 We’re particularly excited about the Cape Leopard, Cape Grysbok and Honey Badger, among others. The project really needs YOU to get involved. Our pictures are added to a database of thousands of photos taken across South Africa. 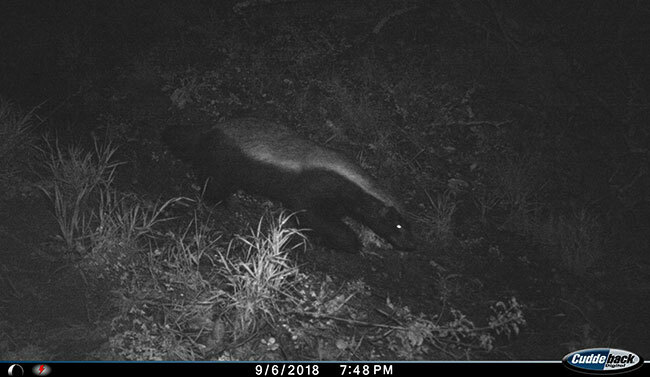 So the study team is now making use of citizen scientists (like you) to help identify the wildlife caught on camera. Once the pictures have been classified and checked, the data is made available for scientific and educational purposes throughout the world. You can get involved through Zooniverse. The Snapshot Safari – South Africa project is funded by the NRF Foundational Biodiversity Information Programme.